If your home is close to the freeway, you could be putting your health in jeopardy. Vitamin D is important for every cell in your lungs! The Los Angeles freeway system was designed to get you where you need to go fast (well, more likely in tons of traffic). But it also has had unintended consequences for the health of people who live near the busy roads — especially children, who can suffer lifelong consequences as a result. The health risks of air pollution. First, some good news: The USC Children’s Health Study, one of the largest research projects into the long-term effects of air pollution on children’s respiratory health, has found that, overall, kids’ lungs have improved in the past 20 years in the LA area. Bronchitis symptoms have also declined. This is all due to improvements in air quality, as policies to fight pollution were put in place and emission levels from vehicles declined. But, it’s still clear based on the study’s findings that children who live in areas with more pollution have poorer lung function, reduced lung growth, more asthma and greater lung damage than kids who live in areas with less pollution. The air quality is definitely the cause, as lung function improves when kids move away from these areas. Plus, days with higher levels of air pollution lead to more respiratory infections that result in more school absences. More negative health outcomes discovered. Kids aren’t the only ones at risk. USC Environmental Health Centers notes that high levels of air pollution near freeways can cause high blood pressure and gestational diabetes in pregnant women. It could also lead to more cognitive problems in their babies. In teens, another USC study showed pollution particles can affect still-developing brains and increase delinquent behavior. In adults, another USC study found that preventable heart disease deaths are a direct result of living near a major road. Living near air pollution can lead to more cardiovascular disease, including heart attacks and stroke, and premature death as a result. Urban living or the suburbs? In some ways, urban density can have environmental benefits — living close to public transportation hubs reduces the number of cars on the road. Better air filtration systems, vegetation barriers and other anti-pollution measures may help new buildings that are close to busy freeways. But experts still agree that living farther out has current benefits for your health, even though you have to drive a greater distance to get to where you want to go. In general, the farther you are from the freeway, the less pollution poses a risk to your health. But besides moving, what else can you do to protect your respiratory health if you live in an urban environment with pollution? 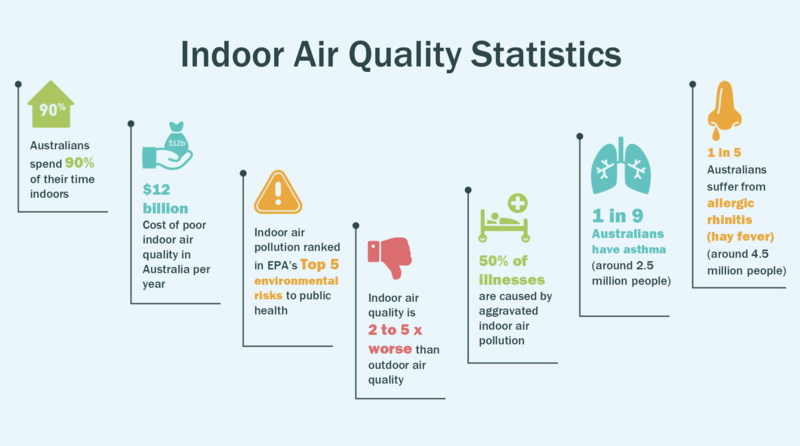 Monitor the air quality by visiting the Environmental Protection Agency website airnow.gov. You can also sign up for email alerts or download their app. Or, check out the World Health Organization’s air quality website, breathelife2030.org. 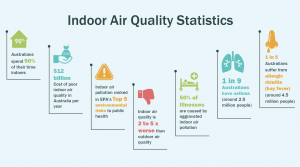 Stay indoors as much as possible in a building with air filtration. At home, close the windows and use an air conditioner with a HEPA filter, or use an air cleaner/purifier, especially in your sleeping space. Keep your home clean of particles by using a vacuum with a HEPA filter, and a wet mop on floors. In general, carpet is going to hold onto more dirt and dust, so bare floors are better. Don’t use a fireplace, smoke or light candles. On your commute, see if you can go in off-rush hour. Try taking back roads or, if you walk, go through a park. Take off your shoes as soon as you get inside, and change your clothes. If you exercise outdoors, skip mid-afternoon on warm days. Biofilms form when bacteria adhere to surfaces in aqueous environments and begin to excrete a slimy, glue-like substance that can anchor them to all kinds of material. In a healthy gut that is filled with beneficial microflora, the biofilm that they create is thin mucus. This healthy gut biofilm is moistening, lubricating and anti-inflammatory and allows the passage of nutrients through the intestinal wall. Conversely, an unhealthy gut biofilm will promote inflammation and protect bacteria, parasites and yeast from the immune system and even the strongest medications (both herbal and pharmaceutical-grade). In general, bacteria have two life forms during growth and proliferation. In one form, the bacteria exist as single, independent cells (planktonic bacteria) whereas in the other form, bacteria are organised into a biofilm aggregate. Acute infections are assumed to involve planktonic bacteria, which are generally treatable. However, where the bacteria succeed in forming a biofilm within the human host, the infection often turns out to be hard to treat and often develops into a chronic state. The important hallmarks of chronic biofilm-based infections are extreme resistance to antibiotics and many other antimicrobial agents, and an extreme capacity for evading the host defences. Biofilms have the potential to cause a tremendous array of infections and diseases, and there is little doubt that biofilms are part of the ‘pathogenic mix’ that cause most or all chronic “autoimmune” and inflammatory diseases. Biofilm are held together by a protective exopolysaccharide (EPS) matrix. This matrix protects the bacteria from oxidative damage caused by antimicrobial agents and increases their resistance. One of the most effective ways to eliminate biofilm is to dissolve the EPS matrix with enzymes. The EPS matrix consists of proteins, nucleotides and saccharides. Specialized enzymes can break those components down, reducing them which weakens the matrix. For example, proteases can be used to break down the proteins that compose the EPS matrix. Glucoamylase, pectinase, cellulase and beta-glucanse can break down saccharides. Enzymes have the capacity to dissolve both bacterial and yeast biofilms. Quite often biofilms are linked to previous gut infections, drugs such as anti-biotics, anti-inflammatories, vaccinations and more. The Reason for the Season: Why do we get more colds in winter!?? Colds appear more prevalent when it is cold out. However, in terms of infectious illnesses, it is the germs that make us sick, not cold weather itself. We have to come in contact with rhinoviruses to catch a cold and we need to be infected with influenza viruses to contract the flu. Rhinoviruses peak in spring and autumn, and influenza viruses peak in the winter. Cold weather may help some germs prosper. Research from the National Institute of Health suggests that in cold temperatures, flu viruses are more stable; the outer shell of flu virus particles get tougher and more hardy so they survive longer. Low humidity also helps the virus particles remain in the air because the viruses float in the air in small respiratory droplets. When the air is humid, those droplets pick up water, grow larger and fall to the ground. The cold air also makes it harder for the hairs and mucus in our noses to protect us from germs. The dryness can thicken the mucus and clog the cilia that sweep mucus from our nasal cavity into the back of the throat. Some research suggests that both the cold air from outdoors as well as the dry air from indoors may play a role in protecting the aerosol droplets we sneeze and cough into the air, allowing them to spread more easily from one sick person to another. Add to that the confined spaces with air heating systems that recirculate the air from those who have the virus which causes the cold and it’s a perfect recipe. Similar seasonal changes occur in various components of the immune system. A further study found gene expression in red blood cells shifted with the seasons. In the summer, a different set of genes are more highly expressed, including some that help regulate our blood sugar, potentially curbing cravings and helping us burn off excess fat. Researchers looking at 1,000 people from six different countries studied people’s genes and how they changed over time according to their location and exposure to sunlight. They found that in Europe, the expression of inflammatory genes got ramped up during the Winter months. But in Gambia, where there is virtually no Winter, these inflammatory genes were amplified in the rainy months, when mosquito populations are at their peak and the risk of malaria is the highest. 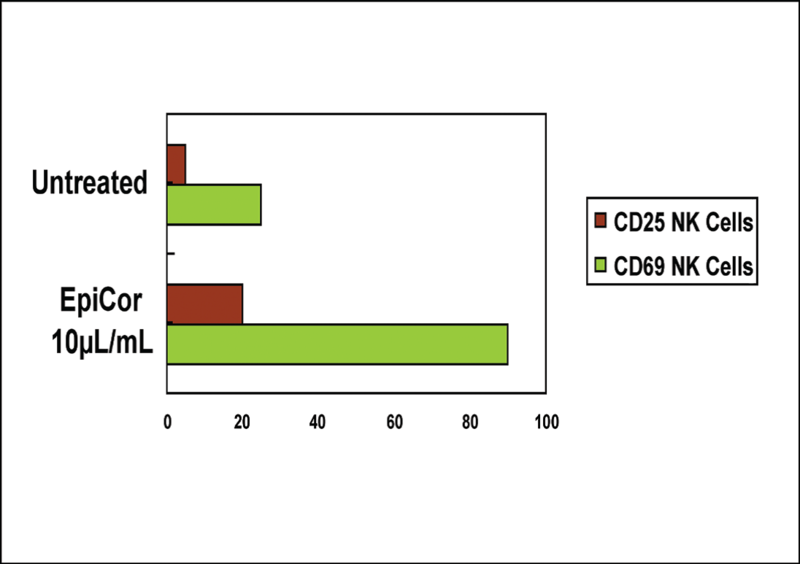 Increase in natural killer (NK) cell activity with Andrographis and Super Mushroom combinations. NK cells are part of the body’s innate, or first-line, immune response. They respond more quickly than the adaptive immune system comprised of B cells and T cells. Once activated, natural killer cell activity peaks in as quickly as several hours, providing rapid support and wide-range immune defence. Chi Nei Tsang abdominal massage – breaks down biofilm and releases old infections so your immune system can deal with them! Ew!! Let’s talk yucky mucus! This is a fungal ball – the result of anti-bitoics which allow fungus to grow, and then the body releases mucus to sop up the fungus. Yuck!Research is showing that biofilm (a mucus substance that is released to ‘sop up’ bacterial, fungal and viral particles) in the average person – with a normal history of vaccines and anti-biotic use, is holding up to 20 chronic infections in our bodies. Why? Don’t disregard your bugs! We have 10 x the number of bacteria in the gut to the number of cells in our body. 10X !!! And we have 100 x more viruses than that. We need our bugs. We need to look after our bugs. Love your bugs! Ask about our OligoScan, Looking at your blood in real time! and Kinesiology testing. Human Microbiome: how much of us is actually human? We live with bugs – let’s look after them!! Recent genetic screening studies have astounded us by identifying that only around 10% of the cells in the body are actually human. The rest of these cells make up the human microbiome; that is, the sum of bacteria, fungi and parasites living on us and inside us. 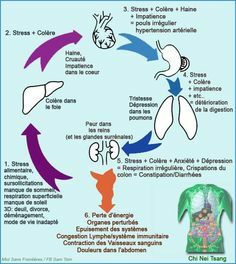 Some of the well-known sites of colonisation are the skin, lung, mouth, and of course, the gastrointestinal tract. However, microbes have also been found in new places, including within the endothelium of our arteries, contained in atherosclerotic plaques; within the joint fluid of rheumatoid arthritis patients; and within the neurons of those with Alzheimer’s Disease. It must be emphasised, however, that a microbial presence in the body is both unavoidable and essential. We have co-evolved with microbes and are dependent upon their presence to regulate our immune system, protect our skin and mucosa, digest our food and produce nutrients and assist in the metabolism of toxins. Sterilising the body is by no means the aim in treating infection. Our aim at New Leaf is to create balance. With a unique combination of Naturopathy & Chi Nei Tsang Abdominal Massage; Kinesiology to find out if the infections/microbiome is out of balance/ infrared saunas and frequency specific microcurrent we get great results. It takes time and energy to rebalance the organisms in our body.